It’s time again for Hoagies Gifted blog hop. The topic for this month is Gifted Friendships, and in this post I am going to focus on whether we should help our smart kids to make friends, when to worry and where to learn more about gifted kids reaching for connection. Is Making Friends Harder for Gifted Kids? This is an interesting question. A popular image of a gifted kid is an image of a nerd obsessed with his or her pet passions, an outsider for a popular crowd, sometimes a victim of bullying. From my observation, it’s partially true, and sometimes smart kids, especially younger ones, are somewhat responsible for their isolation. My 7 year old daughter, for example, has zero interest in being “popular” and has this tendency not to notice the world around her when she is thinking about something. However, she is able to reach out and join the group if she chooses to do so. In other words, she is not an outcast, but a drifter, only joining activities and games that interest her. In addition to being choosy about which activities to join, she is also choosy about her partners. A magical “click” happens only with certain type of kids – mostly with those who are a little dreamy and goofy at the same time. Not surprisingly, her best friends are also intelligent, articulate, and willing to engage in negotiations when deciding on what to do together. She strongly prefers 1:1 time with either of her three best friends rather than playing in a group (not easy when one of them has a twin sister that Smarty doesn’t care for). When she picks a friend she likes, she does make some effort to make their friendship work. As an example, one of her friends was not up for playing just with Smarty, so she developed a schedule where she “graciously” offered this girl two days a week to play with other kids on the condition that the rest of the time they play together. Apparently, Smarty was an engaging companion, since eventually the other girl entered “an exclusive friendship” relationship with Smarty, at least in school. Do Our Children Need Our Help? A simple answer is – it depends. An introverted child under 5 might need some gentle encouragement, and a depressed adolescent without friends certainly needs help. Children can learn a lot of “friendship theory” from terrific books about friendship pulled into a roundup by The Measured Mom and from watching how we interact with our adult friends. But I also happen to believe that kids between ages 5 and 10 should be able to “practice” and negotiate the turbulent seas of their first friendships without adults constantly hovering over them, picking their friends and supervising their playdates. Our daughter decides whether she wants to have a playdate and with whom, our role is simply to see where this playdate might fit into our schedule and arrange logistics for it. He or she can interact happily with other kids under some circumstances, when he or she wants to do so. He or she has at least one relationship in which he or she likes and is liked by another child. He or she has someone to sit and chat with at lunch. If something in the list above raises your red flag or your child is clearly unhappy about his or her ability to make friends, this book offers practical advice for different problems – from being too judgmental to being too shy. In general, I found it very useful, and I hope that you will too. Are your children social butterflies or introverts? Do you let them be or work to draw them out? Check out Hoagies Gifted Friendships blog hop and follow Hoagies Gifted on Facebook. 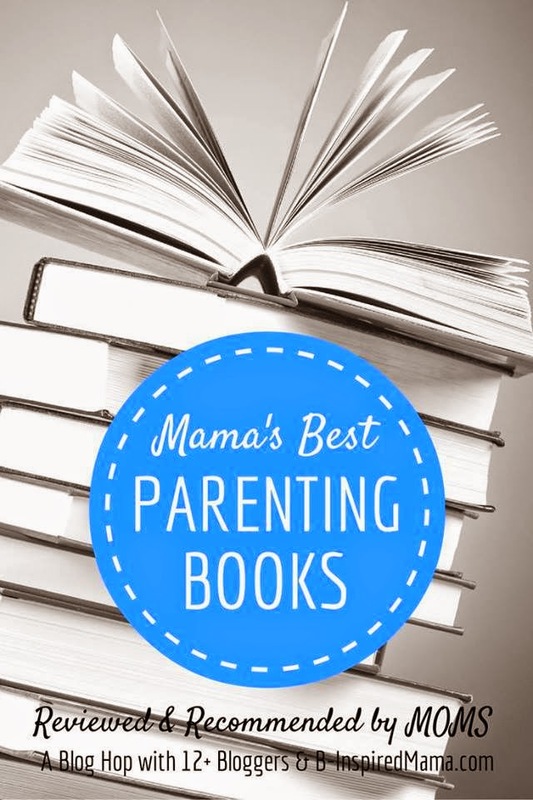 Do you have a favorite parenting book? Do let me know in the comment section! My two favourite parenting books are Motherstyles and How Eskimos Keep Their Babies Warm - great primers which allow the reader to think more critically about all the rest before deciding if they're promoting techniques which will be a good fit. Your recommendation sounds good - I'll look it up at the library. K used to be only good with 1:1 play dates but as she's gotten older, she is able to play in a group that is self-organizing. It's wonderful to see them play tag, hide-and-seek, "Guess what I am", and other games together. They usually play for 2-4 hours while the adults chat. Finding a "best friend" has been harder. She is picky when it comes to find a best friend. It's almost like picking a soul mate. My kids go back and forth on this whole thing. In some ways it's been a struggle because they're all a bit quirky like their parents, and I remember it took me a while to find the right friendship combinations. I think that it is somewhat harder to make friends in general these days, our world isn't as safe as it once was and as parents we limit interactions at times for safety. Sleepovers, as example, were a great bonding experience in my childhood, but they have become so rare that I don't think my kids have slept at a non relatives house yet.